When you need a sprinkler repair, there is no better company for your Highlands Ranch sprinkler repair needs than Water Solutions Company. We are well-acquainted with Highlands Ranch and we know how to diagnose the issue quickly and provide professional and quality service to get it fixed as time-efficiently and cost-efficiently as possible. Need a Sprinkler Repair in Highlands Ranch? We’ve Got You Covered! We pride ourselves on excellent service and make an effort to give you a competitive cost for our quality sprinkler repairs. Water Solutions Company has over two decades of experience installing sprinklers and making repairs. We are familiar with a variety of sprinkler systems and know how to quickly diagnose the issue to make our repairs. We make a detailed estimate and honor it— We know that sprinkler repairs, even if they are done as delicately and professionally as we do, mean digging up part of your lawn to get to the buried pipes. We make sure to include all aspects of service and repair in our Highlands Ranch sprinkler repair estimate and we honor it. We make sure you understand all aspects of the repair— Sprinkler repair is more than just the before and after. We carefully explain how all labor aspects are distributed in between so you understand the process and can assess the quality of our work. We take into account all aspects of your yard when making a sprinkler repair— This is very important if you have ponds, gazebos, or other items that might be impacted by water run-off from a sprinkler system. We know that a yard is more than just a sprinkler system, and we make sure to look out for all aspects of it while we are making our repairs. We believe that giving you a quality service is more than just the immediate sprinkler repair. We make sure to be readily available by phone or email and keep a clear line of communication open to you before, during, and after our repairs. 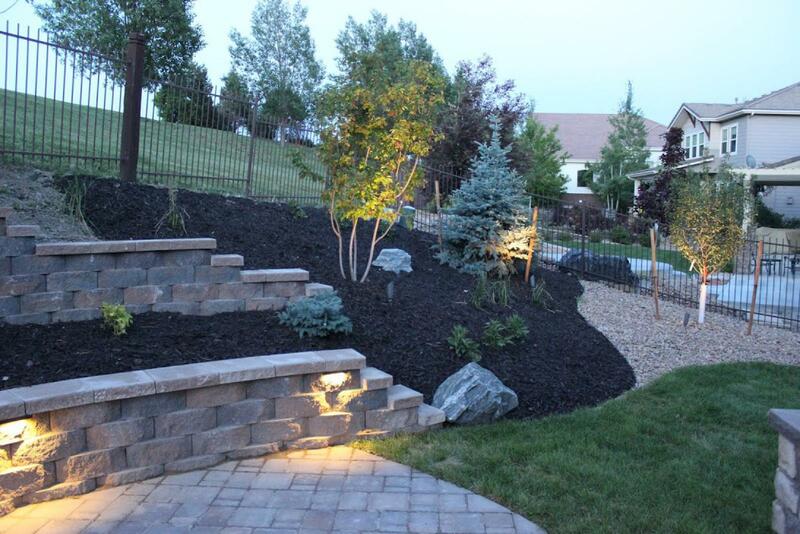 If you are looking for Highlands Ranch sprinkler repair services, give us a call and for an estimate today.